The first toy-driven Saturday morning series inspired more than just negative pushback—it created an historic start-up opportunity and a groovy soundtrack LP. Released in 1969. Producers: Mike Curb, Michael Lloyd. Running Time: 23 minutes. The 1969 animated series Hot Wheels is singularly remembered for being canceled and little else. That’s understandable in light of all the controversy surrounding children’s television as it matured in the late 1960’s and became a hot potato among the business, political and private sector. 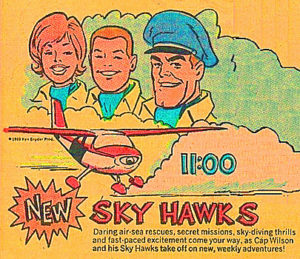 Hot Wheels, along with its sister series, Sky Hawks, was the perfect example for finger pointers because there was no denying that these were Mattel toys that had been adapted into a series format, the premise being the “Hot Wheels” were a race team of rule-following good guys who exemplified fair play and safety as they faced off with other teams who might not always do the same. The most vocal critic of the Hot Wheels cartoon series was not a parent group–though they certainly could not have been pleased. It was actually Topper Toys, makers of Sixfinger, Johnny Lightning, Suzy Homemaker–and other toys that started with “Johnny” and “Suzy”–as well as the Barbie knockoff “Dawn” doll (whom parents assumed was “just as good,” much to the chagrin of kids like this author’s sister who couldn’t use her with the ubiquitous Barbie accessories). Topper was a popular contender for Matty Mattel’s crown and complained that the Hot Wheels series was 30 minutes of free advertising for the Mattel toy line, which had been launched in 1967. According to some sources, some stations were ruled to log half the show as commercial time, but both shows must have done well enough to survive for two seasons using the original batch of episodes (as many Saturday Morning series did back then, only adding a few episodes in a second or third year). 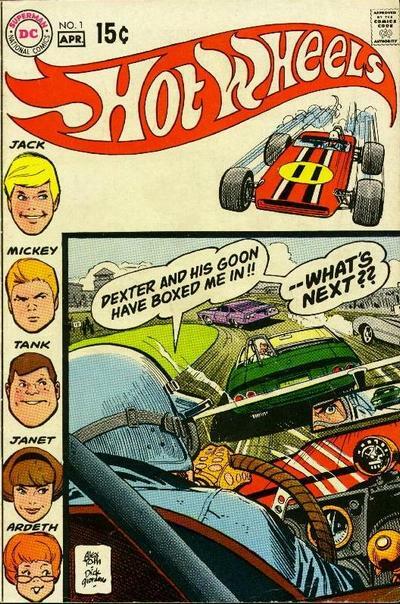 An interesting sidenote to this story is a bit of conjecture: when the Rankin/Bass special Santa Claus is Comin’ to Town premiered, the penguin character was named “Topper.” This was on ABC on a Sunday night in 1970, when Hot Wheels and Sky Hawks were still being broadcast on Saturday morning. A few years later, when the Santa Claus special was syndicated, the name was changed to “Waddles” by having Paul Frees loop Mickey Rooney’s dialogue every time he said the name. 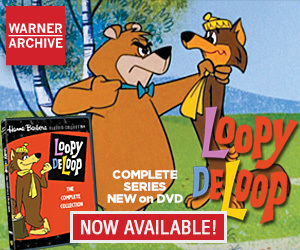 The subsequent video and cable issues returned to “Topper.” Perhaps there was some sponsor-based cause for this to have been done, as it would not have been done with no reason. All the fuss about the intent of the Hot Wheels cartoon aside, it is not often discussed for other, arguably more important reasons—the program itself. Those who might take a cursory look and dismiss its limited animation without looking closer could be making a mistake. Narratively, Hot Wheels and Sky Hawks are played completely without guile or wink. They are the equivalent of the era’s prime time dramas, geared (sorry) for kids, but without comic relief or cute animals. Despite the obvious commercialization in the concept, there are some very early attempts here at diversity and feminist issues rarely if ever presented on Saturday morning TV. Notable among the voice cast is Casey Kasem in one of his first voice roles for animation, as a sneering louse named Dexter, who led a rival racing team. Hot Wheels premiered the same year as Scooby-Doo, Where Are You? in which he also introduced the role of Shaggy, followed by a succession of mostly good-guy characters that tended to overshadow his dramatic range. Hot Wheels also provided one of the first TV acting jobs for a young Albert Brooks. 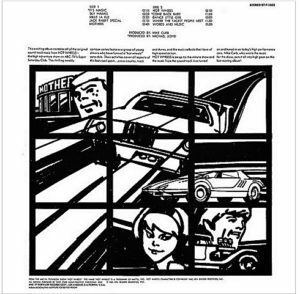 The Hot Wheels soundtrack album is very much akin to the soundtrack LP for Hanna-Barbera’s Cattanooga Cats series (which we talked about here) because the same people—Mike Curb and Michael Lloyd—were involved on their same label, Forward Records. One can literally mix the songs from Hot Wheels and Cattanooga Cats and not notice much difference between them except that the Cats used a female vocalist (for the character of Chessie). They’re uniformly high in quality however, as were most songs created for Saturday morning cartoons—rich in nice hooks, catchy melodies and solid production values—all in hopes of grabbing for the gold rings of The Archies or The Monkees, which was never to be no matter how good the music. Lightning was not in every bottle, but it’s still nice to be able to enjoy the attempts. This LP also includes a album-length version of the Sky Hawks theme. It is not the xylophone-laden version heard on the TV soundtrack, but instead a faster paced pop version that is somewhat superior to the repetitious Hot Wheels theme (which is an extended soundtrack). 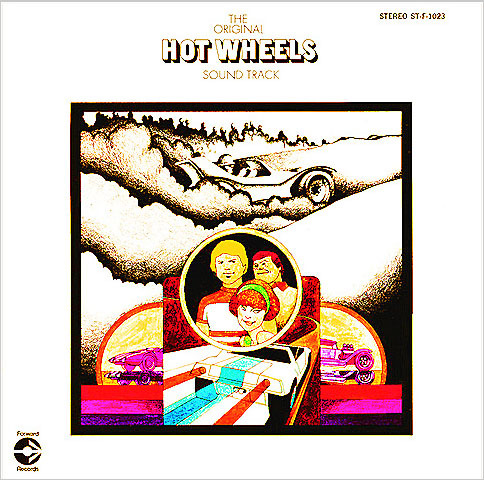 As an interestingly link to children’s TV history, the background score for the for Hot Wheels and Sky Hawks, although not represented on this album, was composed by Jack Fascinato, who did all the music for the pioneering series Kukla, Fran and Ollie. Unlike Cattanooga Cats, Hot Wheels was not a song-driven show with a band and no evidence currently suggests a “video segment” for each half hour show, thus the songs are in the “inspired by” category—a song about the signature car, the “Jack Rabbit Special,” another about the favorite dining hang out, “Mother’s,” etc. Michael Lloyd would continue to contribute songs and themes to Saturday morning TV shows, particularly to Krofft shows like Sigmund and the Sea Monsters and Land of the Lost. Perhaps the most significant aspect of the Hot Wheels and Sky Hawks series are the stories behind the scenes. The shows were produced by a very unlikely studio for such an ambitious, high-profile project: Pantomime Pictures in Los Angeles. Founded in 1959 by former UPA animator Fred Crippen (who passed away on March 22), Pantomime was a boutique studio that specialized in quirky animation for commercials and shorts, best known for the off-the-wall syndicated satire Roger Ramjet and His American Eagles, which we explored on Animation Spin here. Crippen was known for breaking the rules of form and format. His cartoons reveled in their simplicity, whimsical humor and loose design. the idea of Pantomime being asked to take on two 16-episode half-hour network animated adventure series seemed more than slightly insane, but 1969 was a highly competitive year for the three networks on Saturday morning. 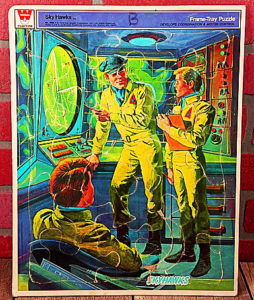 Virtually every other company was cranking out new product—in addition to Hanna-Barbera and Filmation, there was Rankin/Bass, De-Patie-Freleng in animation and newcomers Sid & Marty Krofft in live action. Enter future Disney Legend Floyd Norman, who only a short time earlier was working on scenes with Kaa the snake in The Jungle Book. Norman had come to Pantomime because he wanted to animate segments for the new Sesame Street series that also made its debut in 1969. “The famous toy maker deal seemed to come out of nowhere and suddenly, Fred Crippen found himself with two television shows,” Floyd told me. “I honestly don’t think Fred was all that thrilled about getting into Saturday morning television. Pantomime was a quiet, creative little animation facility. Now, it suddenly exploded in size when these two animated shows were dropped into Fred’s lap. One mystery may have perplexed viewers since Hot Wheels and Sky Hawks aired on ABC, if they happened to notice something curious in the end credits: “Introducing PERSPECTAMATION!” But unless something very subtle was at work, no special process seemed evident anywhere in the production. Look for more about Fred Crippen as well as a wealth of other treasures at Floyd Norman’s wonderful blog. The words “Hot Wheels!” are so insistently slammed over and over into this hyper theme song, one wonders whether the detractors of this series ever watched the show itself (which is far more subdued) or just used the theme song to show how blatantly commercial is was. Maybe the theme did it a little more harm than good…? It does seem like Fred didn’t seem too happy with doing these series. Speaking of toy shows, are there any plans of doing any more ’80’s toys records/ albums in this column? As to what records might come next to Spin, who knows? Perpsectamation may have worked if the main cars’ angles’ print-outs were hand traced on paper. If they were thinking of going from computer to film or to cel, I can see that being complicated. I am guessing it would have been very low poly vector wireframe, but that may have worked only to get the structure of the car, and it would have been only economical fore reuse of the main vehicles. Total conjecture on my part, of course. I believe that our Author overestimates the impact that Topper Toys had–and underestimates the impact of Action for Children’s Television, and other “mothers” groups. These groups believed that there should be NO advertising on Children’s Television. And a program inspired by or based on the name of a toy-line would not be to their liking–not in the least! Children’s television had been full of program-length commercials, and programs inspired by commercial products or their icons. From Jon Gnagy’s “Learn to Draw” show (which was used as kidvid by at least one station in the Los Angeles market in the early 1960’s), through “Shenanigans” (a program-length commercial for Milton Bradley games), to “Linus the Lion-Hearted”, programmers and producers had had a close relationship. What’s more, Mattel Toys was a much larger company than Topper–and television was responsible, in large part, for that. Mattel had a history of working with the ABC network,going back to “Matty’s Sunday Funnies” (renamed “Matty’s Funday Funnies” when it moved to another night). Things change, of course. In the 1980’s, with Reagan in the White House, and Mark Fowler heading the FCC, almost anything would go–which left us with “He-Man”, “Transformers”, “Strawberry Shortcake” et al. Today, we have the Children’s Television Act of 1990–which seems to be honored more in the breach than in the observance. And, as tastes have changed,and as economic situations have altered–we have almost NO children’s television on over-the-air stations. The Big Three, you mean? Another change is that we have whole channels devoted in whole or in part to kid shows, ranging from cartoons and kid sitcoms to religious stations. A lot of shows that once would have gone to Saturday morning or weekday after-school slots are now being created for those cable outlets, along with reruns of the older stuff. Also, the advent of home video made it possible to time-shift and even buy shows instead of having to hunker down for scheduled showings. A little like the slow death of the Saturday matinee. All the content — the B movies, the cartoons, the Three Stooges shorts — migrated to television, joining new content that was often created by the exact same people (albeit cheaper). According to the Hastings Communications and Entertainment Law Journal, Topper was the catalyst that moved the FCC to act, regardless of it company size in relation to Mattel. The Hot Wheels series ran from 1969-1970. No previous children’s series was based directly on a toy line before that, though there were characters and elements that overlapped one another. 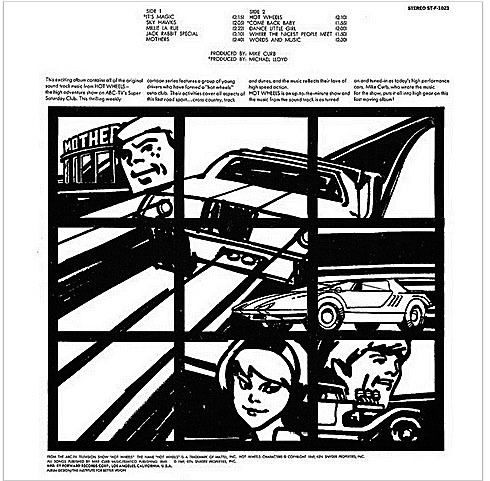 Mattel did not advertise their Hot Wheels cars during the program, but the FCC ruled that the theme song and any mention of Hot Wheels in the actual show itself was considered advertising and had to be logged by stations as such. The post alludes to the existence of parent groups at the time of the Hot Wheels series, it’s just that, historically, while those various groups were of course not happy about such a show, it was the competitive toy company that raised the issue in this case and influenced the landmark ruling, not the pressure groups. Action for Children’s Television was more focused on banning violence and superheroes from Saturday morning TV in 1969, and they were successful with several shows. Ironically, The Archie Show was a non-violent success that inspired the high-ground format of Hot Wheels and Sky Hawks. The content of the shows themselves was inherently peaceful and moralistic–but commercialized. ACT began to go after commercials in 1970. Hot Wheels was certainly an easy target for anyone wishing to go after kid’s TV and ACT could have used it as a bad example but again it was Topper who changed things in this case, not ACT. So really, a toy company was upset that a rival was doing better than they were! He-Man, Transformers, Strawberry Shortcake and the like got on the air because they were in syndication (aired by local broadcasters). Which didn’t have to follow the tougher rules Nation Broadcasters had to. 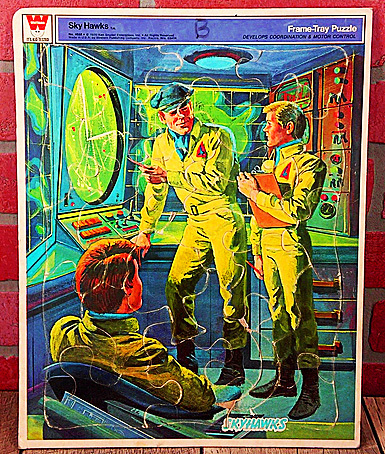 I remember watching “Hot Wheels” and “Sky Hawks” on their original runs. Casey Kasem’s voice for the snooty Dexter Carter sounded like a cross between Thurston Howell III and Jack Benny. Wasn’t there a later series called “Heroes on Hot Wheels” or something to that effect? Yes, it was a 65-episode French animated series called “Michel Valiant” based on a very popular French comic book series that was aired in the US on the Family Channel and sponsored by Mattel as “Heroes on Hot Wheels” in 1990. Apparently VHS tapes were also sold with Hot Wheels cars at the time. Thanks so much for clearing up a problem I had with “Santa Claus Is Coming’ To Town”! The first time I watched it, the penguin was named Waddles (I didn’t see the earlier airings) but now he’s Topper and I wondered why that was. Now I know and boy, were those watchdog groups fanatical over this! The animation is pretty poor but, as you’d expect, great care went into the car designs. I question , though, if old man Warren would drive a Mustang fastback! Also, as a kid, I was never sure Hot Wheels was based on the toy. The logo was not the same, the cars (afaik) were not made as toys. Yeah I suppose it wasn’t quite as “toyetic” as the 80’s shows would do in getting the look of the toys or logos down pat. I always loved the theme song’s line “Keep a climbin’ up a sandy hill,” because we had a local TV personality in Seattle at the time named Sandy Hill (later briefly on Good Morning America). Actually, Kitty Jo had the female musical vocals on Cattanooga Cats; Chessie the Autograph Hound was comic fodder. That’s right! Thank you for pointing that out.